You can’t go wrong with chicken. Everyone has a taste for chicken. 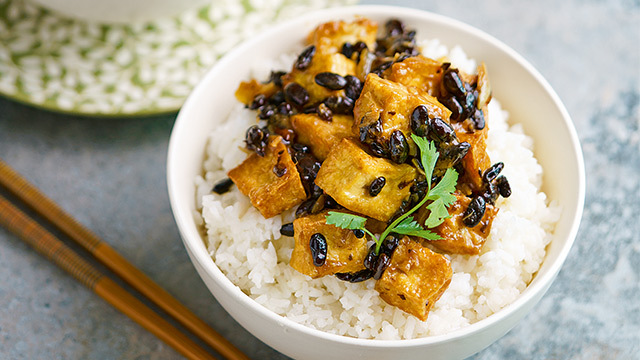 It’s lean, flavorful, and can be made into so many different dishes. 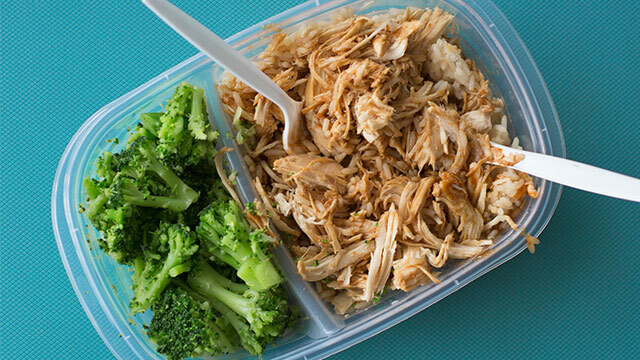 More than that, chicken, when prepped ahead, and packed for lunch, can be your glimpse of sunshine in the middle of a busy day. A delicious chicken lunch is a meaty, filling pick-me-up that will help you through the rest of the day. We all know though, that a good lunch can often mean waking up early. Good news is that we found chicken recipes you can make ahead all you have to do is heat it up and pack it in the morning. Or, for some recipes, you can take it to work as is! 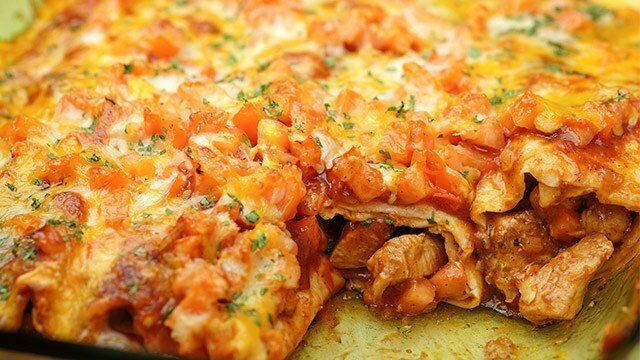 Tortillas, sauces, cheeses, and of course, your favorite hearty chicken come in layers of deliciousness in this recipe. Bake it, seal it, and freeze it for a long period of delicious chicken lunches. To make it easier on you, you can also portion your enchiladas before freezing. 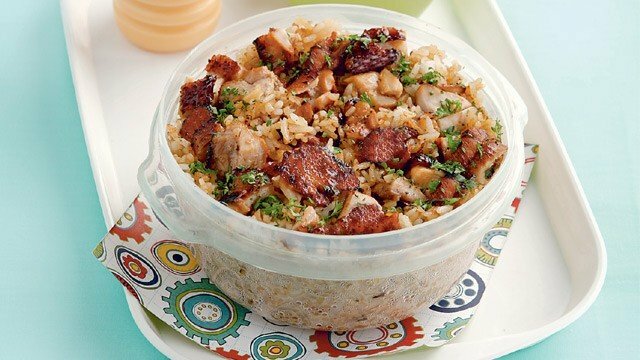 By lunchtime, a quick zap in the office pantry’s microwave will give you a warm, flavorful meal. Yes, chicken relleno does take time to make but is it worth it? YES. Make these ahead and you can have a flavorful meal come lunchtime whether or not you microwave it or not. Stuffed with a flavorful filling, it packs quite a flavorful bite each time. Plus, it goes great with rice! 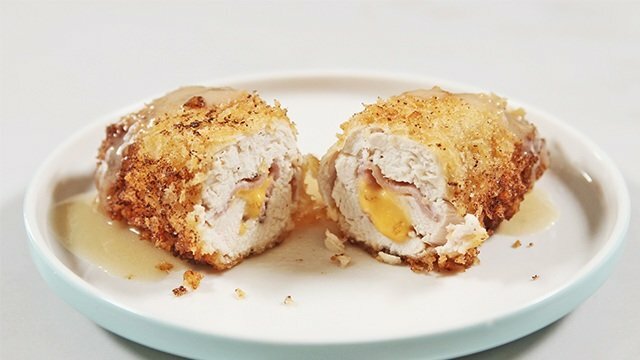 Chicken filled with delicious sweet ham and delicious cheese—who can resist it? It’s always so delicious. 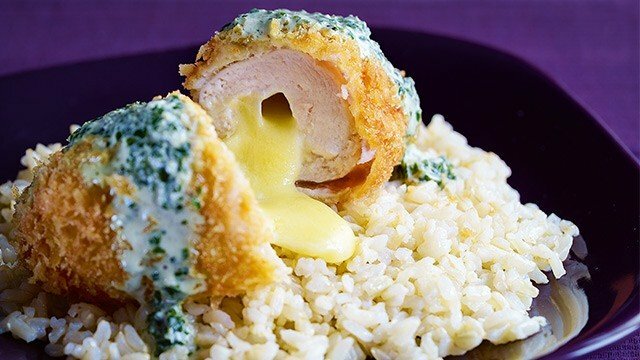 It can be reheated so that no matter what time of day, your chicken cordon bleu meal will still be good. To make it ahead, you can go through the procedure right before cooking and refrigerate a day early. Or, you can seal it with foil in your baking pan and freeze for days, or even weeks, ahead. The night before you bake them, start thawing your chicken. In the morning, all you have to do is chuck them in the oven! 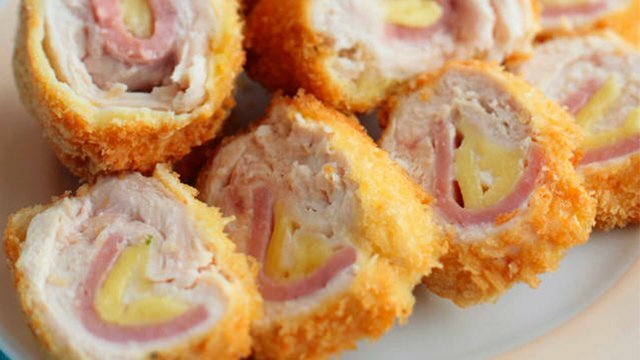 Breaded chicken fillet wrapped around a slice of ham and cheese? Yes, please! You’ll notice that many of these recipes will have some sort of stuffing. It’s for a good reason! As dishes tend to dry out as we travel, you might not get the best texture out of your packed lunches. 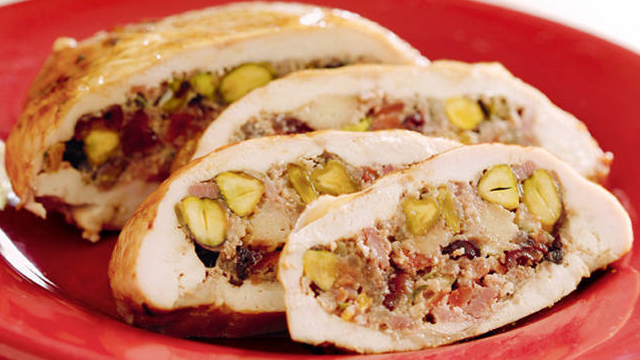 But, having stuffing will at least make up for it with flavor. Also, with time, recipes that contain stuffing usually do even better as their flavors mingle, becoming more flavorful with time.  That's true for this delicious, crunchy chicken roll recipe as well. The delicious chorizo’s notes will steep into your chicken. 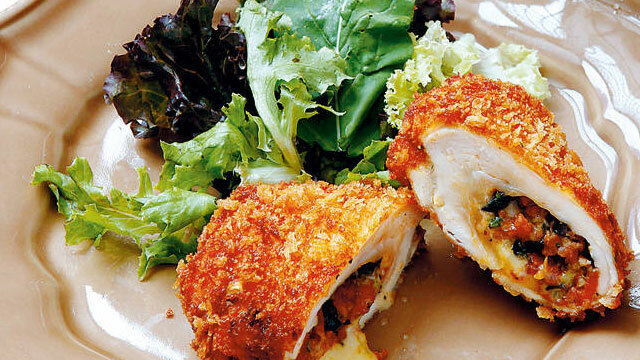 To have crunchy chicken, skip the office microwave and go for the toaster oven. Breaded and fried, these sausage-filled chicken rolls are tasty and crisp. It’s safe to say that kids love chicken nuggets. 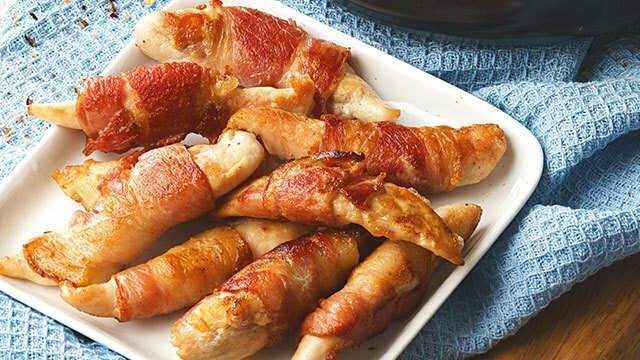 There’s just something about the effortless, bite-sized, boneless pieces of chicken that makes it so attractive to kids. It’s well-loved by kids at heart, too. 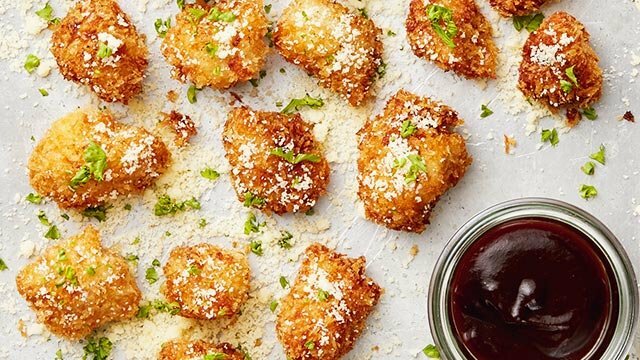 Make enough chicken nuggets as you want with these recipes. You can make them ahead and cook them in the morning. Or, you can cook them on low heat and freeze them. 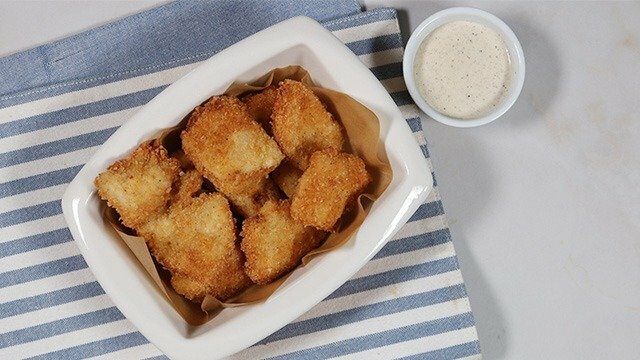 In the morning, you can quickly deep fry the nuggets in hot, hot oil to get that crispy exterior that’s meant to last. There’s also more to nuggets, you know! You can add a nut crust, or go extra cheesy. Cured meats like bacon, chorizo, and others are designed to carry a lot of flavor through thick and thin. Curing, after all, is a method to actually preserve meat to keep it delicious for a long, long time. That’s what makes this recipe incredibly delicious. Bacon will not fail you, especially during lunchtime. Prep them ahead so you can just quickly cook them in the morning. Oh, cheese! Cheese on anything usually tastes great. What if you weave cheese into your meal? It really gives your dish another layer to love. What's more, this has a creamy pesto cream that you can pack to go with it. Then, when you're ready to eat and need to melt the cheese, zap it in the microwave or toaster before eating. Fried chicken with cheesy centers? Yes, please! 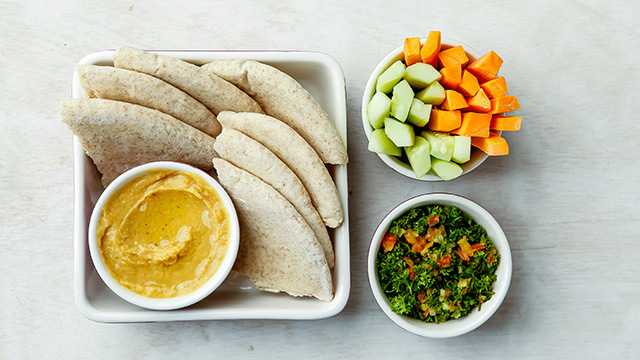 Making a spread really makes lunches easy. You can make this way ahead and not worry about it. Anytime you feel like it, you can make a sandwich. You don’t even need to turn on the stove to prep it in the morning. 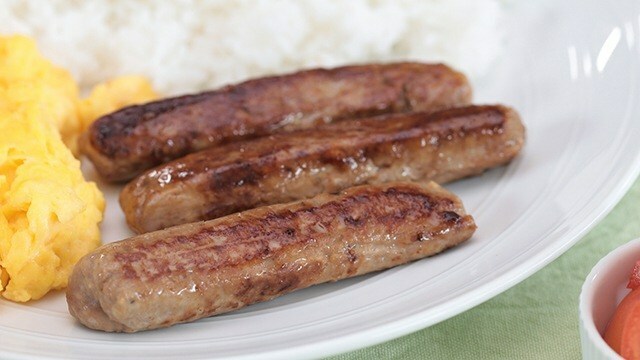 You can make your own version of longganisa. You can have it for breakfast then pack any leftovers for lunch. If you want to change it up a little, mince it then mix it with some mayo and use it as a sandwich spread. We’ve said it before, what you pack for lunch runs in danger of going dry. A good solution? Dips! Dips add flavor, texture, and moisture to your dish. 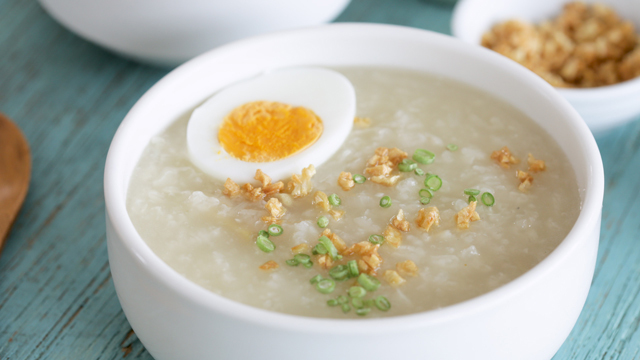 And what’s a better, more welcome flavor than that of a creamy, umami-packed salted egg? 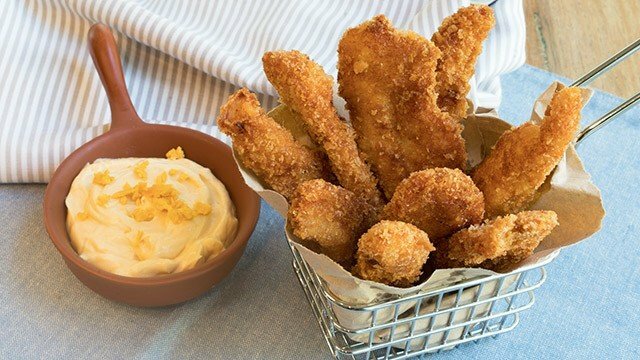 These fried chicken fingers are even better with creamy salted egg dip! Of course! 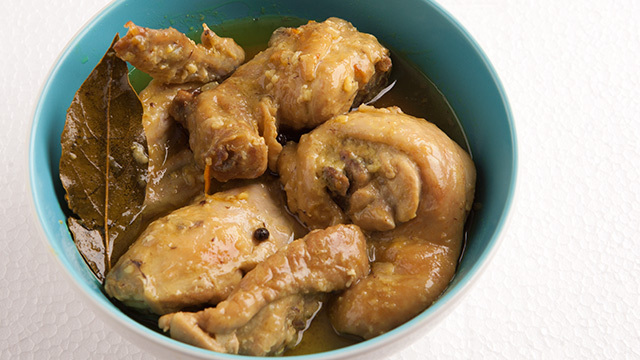 Chicken Adobo was basically invented to become baon. 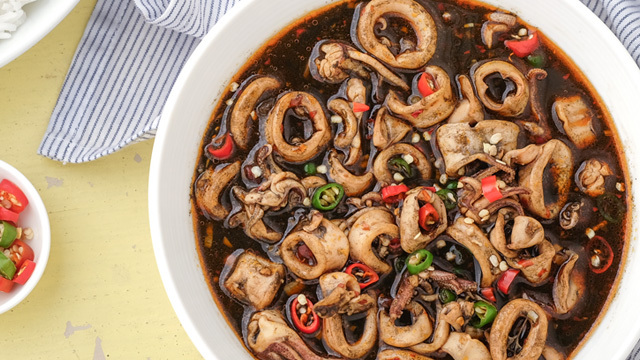 Whether it’s for the office or the beach, adobo is made even better the longer you wait before eating it. It’s sarsa, bursting with deep flavor, gives your dish moisture and is the perfect soak to rice. 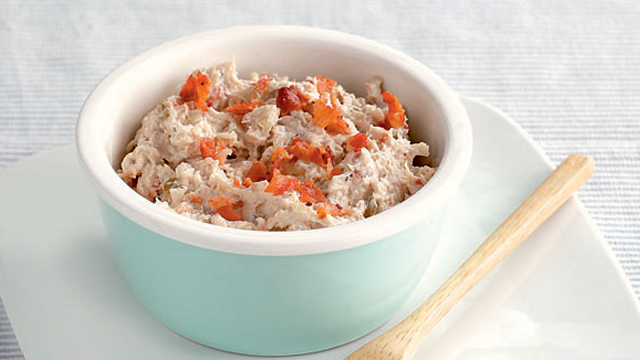 You’ll never run out of chicken recipes for the perfectly delicious lunch ever again. Since you can make them all ahead, it also means you get to have better, stress-free mornings. Healthy baon as a #goal? The struggle is real!